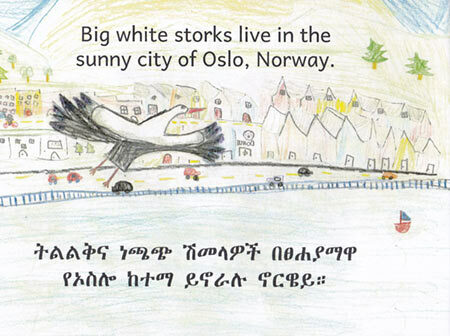 Vernon Elementary School fourth graders collaborated with Ethiopian literacy advocates to produce a book. It’s available now on Amazon.com but, more to the point, it’s being distributed to children in Ethiopia. Art reprinted with permission from Open Hearts Big Dreams Fund. A group of Vernon Elementary School students are officially published illustrators thanks to a collaboration between their fourth grade classes and authors/Ethiopian literacy advocates Jane and Caroline Kurtz. The students’ drawings appear in the children’s book “Home,” written by the Portland-based Kurtz sisters. It tells a story of immigration framed in a tale about white storks that migrate annually from Europe to Ethiopia. The text is written in both English and Amharic, one of the three main languages spoken in Ethiopia. According to the sisters, who grew up in Ethiopia, children’s literature is just taking root in that country. There are still limited options for beginner books that both appeal to children and are written in Ethiopian languages. To help meet this need, Jane co-founded the nonprofit Ethiopia Reads 20 years ago and in 2016 began writing stories for Ethiopian children learning to read. 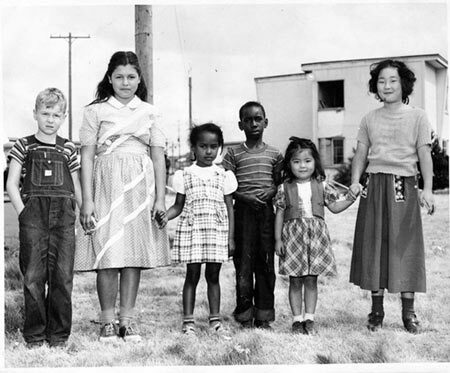 Jane and Caroline now volunteer as creative directors for Ready Set Go Books, a project of the Seattle-based nonprofit Open Hearts Big Dreams. 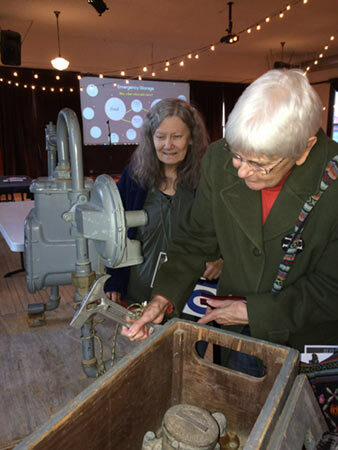 They have collaborated previously with community volunteer illustrators through churches or community college art programs. The project with Vernon came to life last spring when teacher Marie McMahon asked the sisters if they’d be interested in her students contributing to their next book. 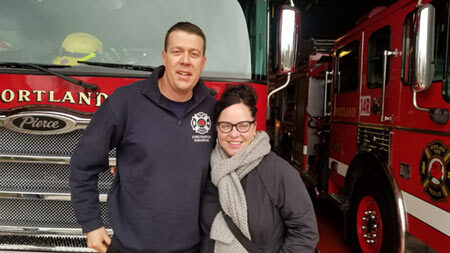 “When my students heard that they could be a part of making a difference in other children’s lives by increasing access to literacy, they were immediately on board,” Marie said. During a presentation at Vernon, Jane and Caroline spoke to the students about growing up and going to school in Ethiopia and the importance of these books to the young readers there. Art reprinted with permission from Open Hearts Big Dreams Fund. In the pursuit of authenticity, the students then researched Ethiopian landscapes and white storks before meeting with volunteer illustrator Jordy Farrell, from Ready Set Go Books, who offered illustration tips. 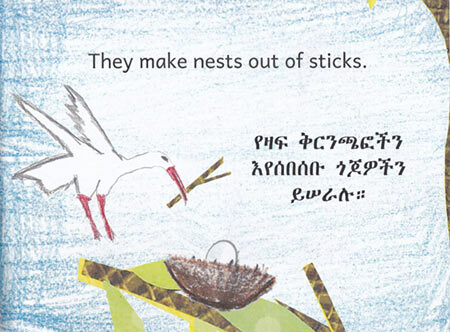 Using additional background art from a previous collaboration with students in Beaverton and combining it with the illustrations from Vernon students, a colorful book was ready to be published online and printed in Ethiopia. The Vernon community has reacted warmly to the philanthropic project, and gathered recently at Cafe Eleven for the debut of the book and copies signed by the student illustrators. The books are available through Amazon.com. Involvement opportunities can be found via EthiopiaReads.org and OpenHeartsBigDreams.org. Karen Lotts is a local freelance writer who helps local small businesses and nonprofits connect with their audiences through copywriting. She can be reached at KarenLotts.com.